We are a niche business, family owned and run for over 20 years. We work along side very skilled and experienced staff. All restoration work is done using original materials and techniques in keeping with the period of the piece. 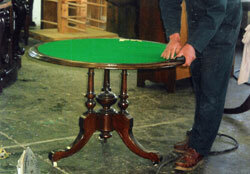 As we know furniture is often a long term investment. We take pride in all the work we do and stand behind our workmanship. 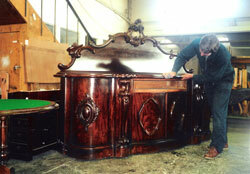 PKR PHILIP KING RESTORATIONS LTD is a family owned business that specialises in Furniture Restoration. The business is located in Marua Road Ellerslie, Auckland.